William Rowland Richardson was born on 25 March 1929 in Taichow, Kiangsu, China, to missionary parents. Richardson graduated from the U.S. Military Academy in 1951 and was commissioned a Second Lieutenant of Infantry. His initial assignment was with the 24th Infantry Division on occupation duty in Japan. He was deployed to Korea in 1953 with the 7th Infantry Division. After the end of the Korean War, he subsequently served in various staff positions before taking command of the 3rd Battalion, 39th Infantry Regiment, 9th Infantry Division in 1966. He deployed with his battalion to Vietnam, and later was assigned as the Assistant Chief of Staff, G-3, of the 9th Infantry Division. He returned to Vietnam in June 1971 as the Commander of the 198th Infantry Brigade, Americal Division, and later became the Division Chief of Staff. In 1972 he became the Assistant Commandant of the U.S. Army Infantry School at Fort Benning, GA. In 1974 he served as Commander of the 193rd Infantry Brigade in the Panama Canal Zone from December 1974 to June 1977. 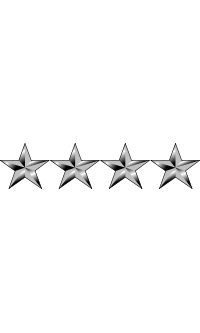 He followed his second brigade command as the Director of Requirements on the Army Staff from 1977-79. Richardson served as Commander of the Combined Arms Center and Commandant of the Command and General Staff College at Fort Leavenworth, KS, from 1979-81. 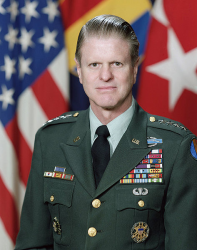 He was the Deputy Chief of Staff for Operations and Plans from 1981-83, and in 1983, he became Commander of the U.S. Army Training and Doctrine Command, retiring from this position in 1986. His education includes the Canadian Army Staff College; the Armed Forces Staff College; the Industrial College of the Armed Forces; and a Master's Degree from George Washington University. ● In 1999, Richardson was awarded the Doughboy Award by the Infantry Center. ● He was inducted into the Fort Leavenworth Hall of Fame in 2008. After retirement, he became Executive Vice President, Army Programs at Burdeshaw Associates, Ltd., a position he filled until 1995, when he became a BAL Senior Associate. He serves on the Board of Advisors of the National Infantry Foundation. He is a Senior Associate and on the Board of Directors of O'Connell and Associates, a defense consulting firm. In February 2007 he was named to the Board of Trustees of the Command and General Staff College Foundation. 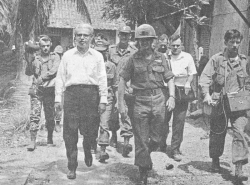 As commander of 3rd Battalion, 39th Infantry, touring the village of Rach Kien, Vietnam, with United States Ambassador to the United Nations Arthur Goldberg, 1967.